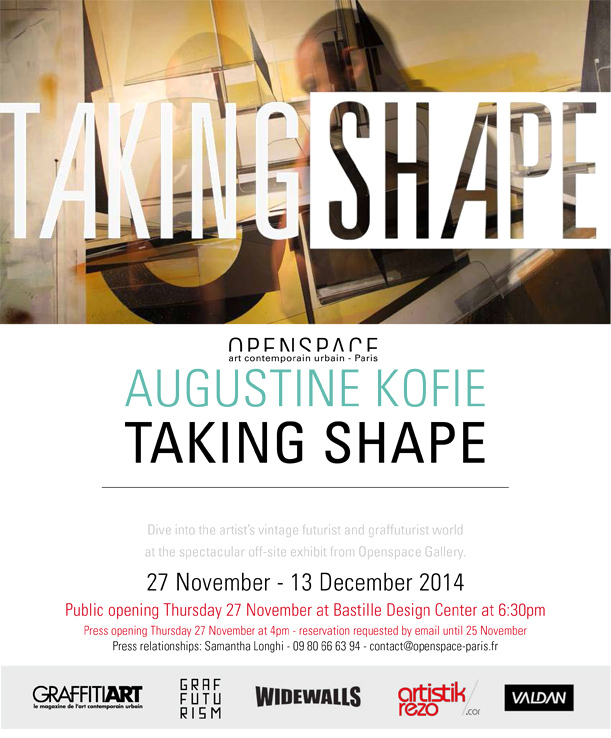 After the success of his first Paris solo show, “California Soul”, in April 2013, Openspace Gallery is delighted to invite Augustine Kofie again to exhibit in the French capitale. 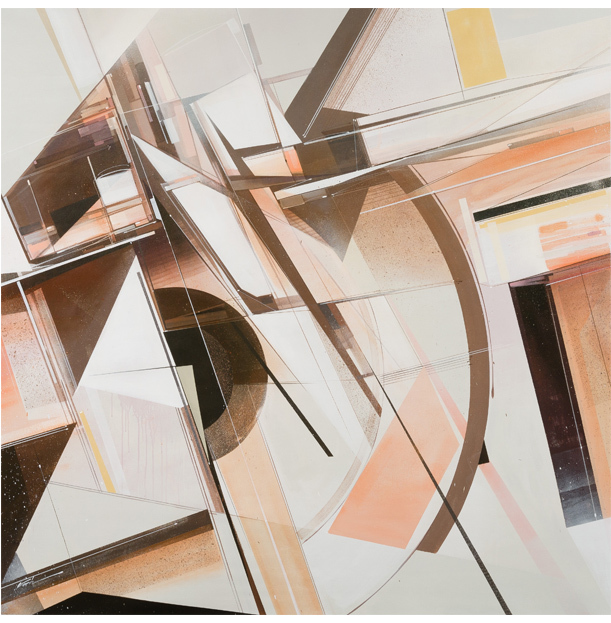 The Los Angeles-based artist is one of the leaders of the Graffuturism movement. 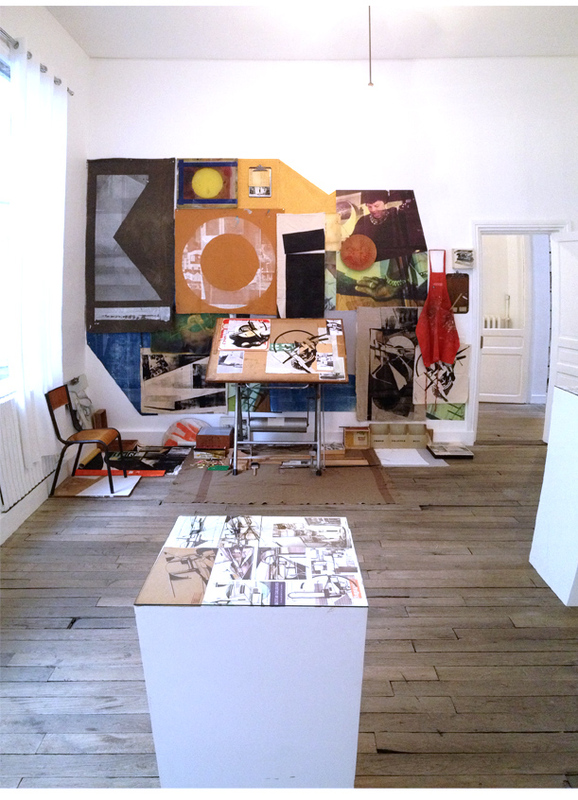 Practising graffiti in the 90s, exhibiting his studio work in the early 2000s, 2009 marked a turning point in his career, laying the foundations for his current work. His artworks full of lines and structured shapes are composed with a mastery of scale and movement. 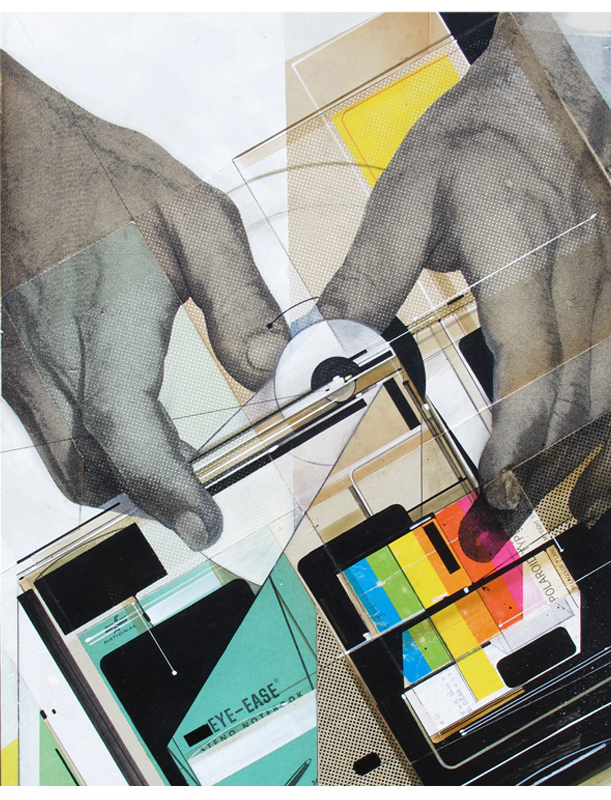 A vintage feel also pervades his work; from the 60s magazine illustrations he uses for his collages to the salvaged materials he uses as media, through his choice of colours.